The cigar smoking experience can be made more pleasurable by having the proper cigar accessories.Â Â These accessories ensure that the quality and flavor of cigars are properly preserved and that they are used correctly without resulting to wastage and deterioration of physical condition,Â Cigar smokers can readily find these accessories in cigar shops whether online or in brick-and-mortar stores. 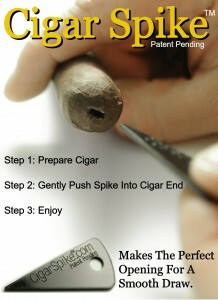 One of the most basic accessories is the cigar cutter.Â Cigar cutters come in many different sizes and styles since cigars do not come in uniform sizes either.Â The use of the right cigar cutter will ensure an accurate and quick cut that will not result to the inconvenient unraveling of the cigar wrapper which can happen when some other crude methods of cutting such as biting is used.Â It should be noted that a single premium cigar is more expensive than a cutter so itÂ wouldn’tÂ make sense to waste the cigar by not having an appropriate cigar cutter. 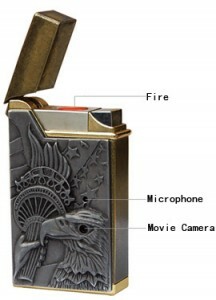 Another basic accessory required in cigar smoking is the cigar lighter.Â A torch lighter is recommended over a typical soft flame lighter since cigars have thicker gauges than cigarette.Â Wind-resistance is another advantage of the torch lighter especially when the cigar smoker likes to smoke outdoors.Â A special note to cigar lighting is never to use any lighting implements that will cause the cigar to be infused by any aroma or taste such as a scented candle or a lighter that contains liquid naphtha.Â The interaction of an outside scent and flavor can totally destroy the cigar smoking experience because of the resulting nasty flavor. Cigars should be stored in humidors.Â A humidor is a box provided with constant humidity to preserve the excellent condition of cigars.Â The humidorâ€™s interior is usually made of Spanish-cedar.Â Humidors must be maintained in appropriate temperatures to prevent cigar rotting and even worm infestation.